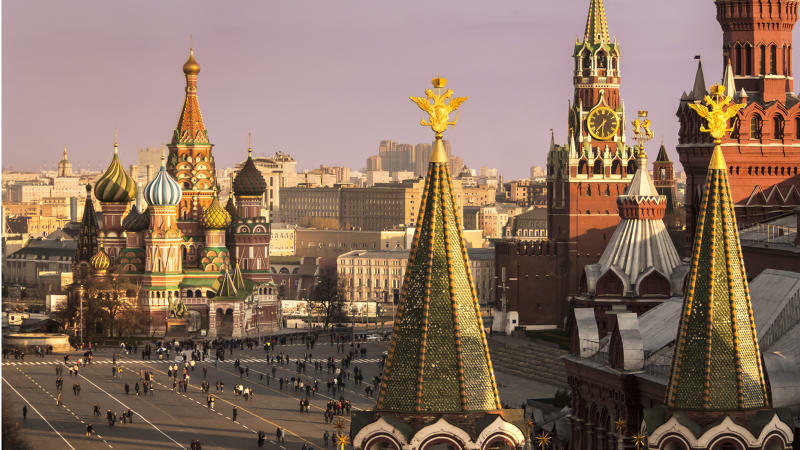 The Four Seasons has reopened a historic landmark in Moscow that carries a storied and interesting past as both an unofficial home base for the former USSR and as an important strategic command post during WWII. 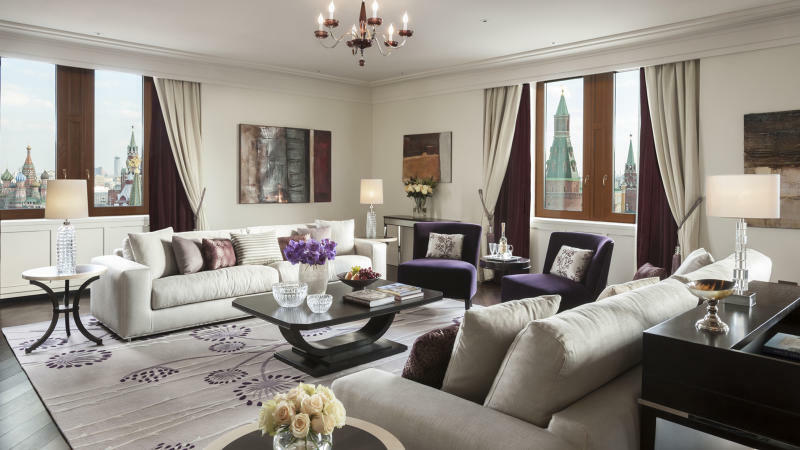 What used to stand as Hotel Moskva has reopened as the Four Seasons Hotel Moscow, steps from the Red Square in Manezhnaya Square, with views of St. Basil’s Cathedral, the Kremlin and the Bolshoi Theater. 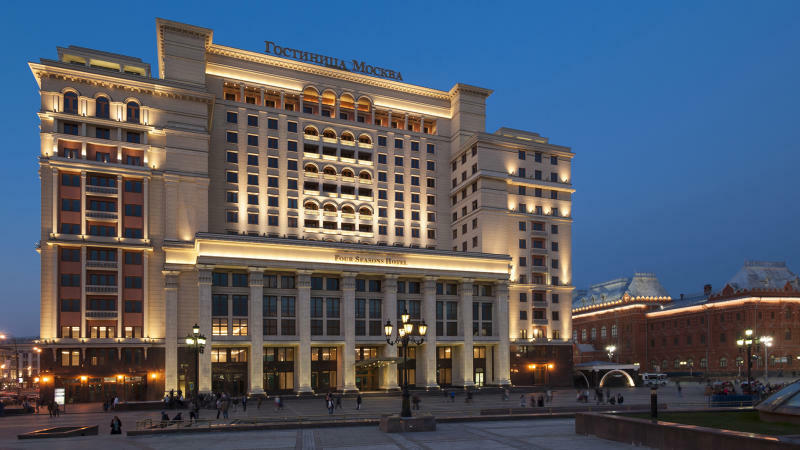 It’s the latest luxury hotel to make itself at home in the area, already crowded with brands like the Hotel Baltschug Kempinski Moscow, The Ritz-Carlton, Moscow, and the Ararat Park Hyatt Moscow. Renovated to respect the original vision, the building’s signature -- and unusual -- asymmetric exterior facade has been replicated to pay homage to its interesting past. Legend has it, that when the architect Alexey Shchusev submitted the design proposal to Soviet leader Joseph Stalin, he was expecting the leader to choose between two sketches of the wings that would flank the central portico. But Stalin placed his signature in the middle of the page, between the two proposals, causing confusion. Instead of risking the chance of incurring his wrath and questioning the leader, it was decided to build both designs, one on either side of the portico. If the silhouette looks familiar, it may be because the building also figures on the label of one of Russia’s biggest international exports, Stolichnaya vodka. During the Second World War, the hotel also served as a strategic military command post and was used as a fortress for defending the northern part of the Kremlin. With 180 rooms and suites, the latest addition to the Four Seasons brand in Russia features many of the chain’s latest innovations, including their customizable bed feature, an iHome docking station, in-room iPad, as well as marble bathrooms and amenities by Roberto Cavalli. Last year, the Four Seasons restored a 19th century Russian palace and St. Petersburg landmark, formerly known as the House with Lions, and turned it into the Four Seasons Hotel Lion Palace. The Four Seasons Hotel Moscow opens October 30.